A compact, flexible and useful gadget for your home, office, camper, car and motor home! Easy to use. Secure, soft grip to give you leverage to open bottles. With it's high heat resistance use to push and pull hot oven racks. Perfect to use as a mini funnel too! 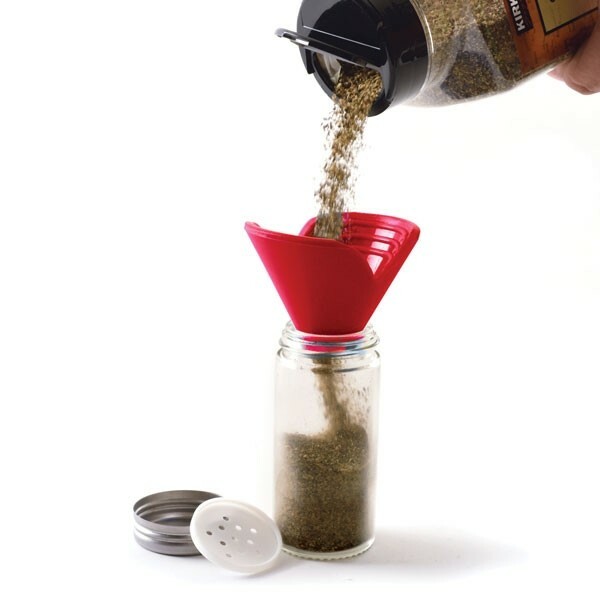 Fill your salt and pepper shakers or sugar dispensers quickly and easily with less mess.